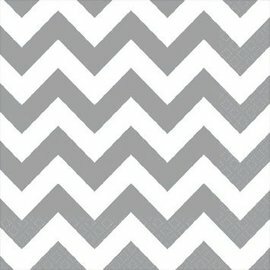 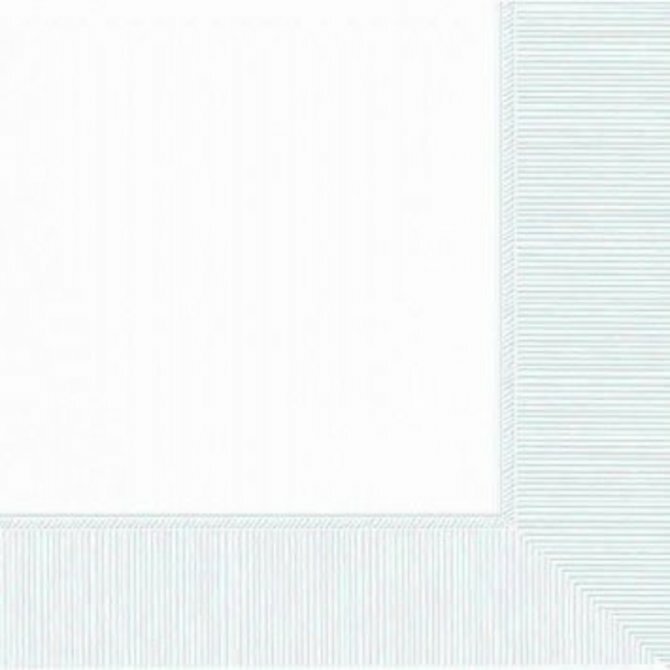 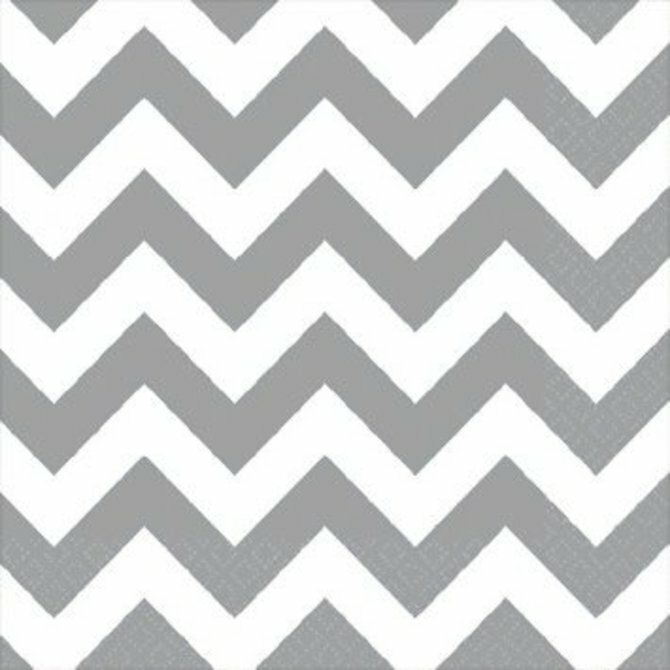 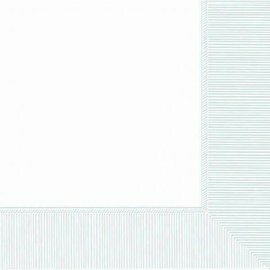 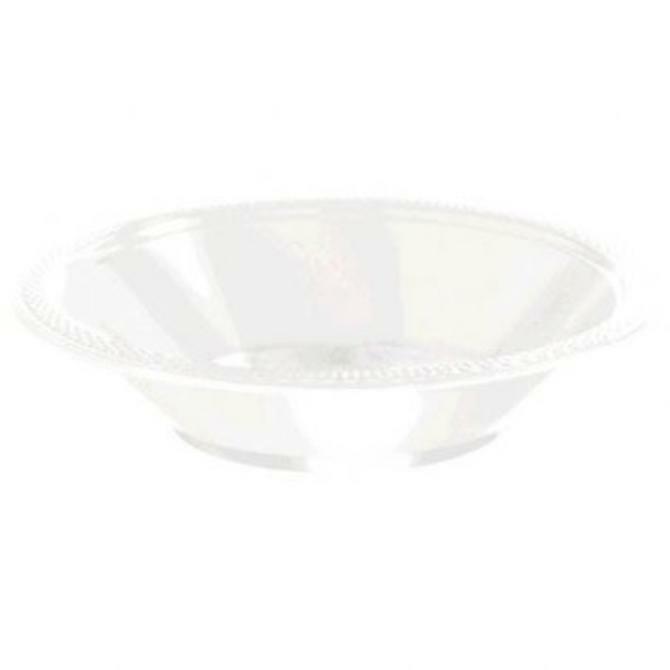 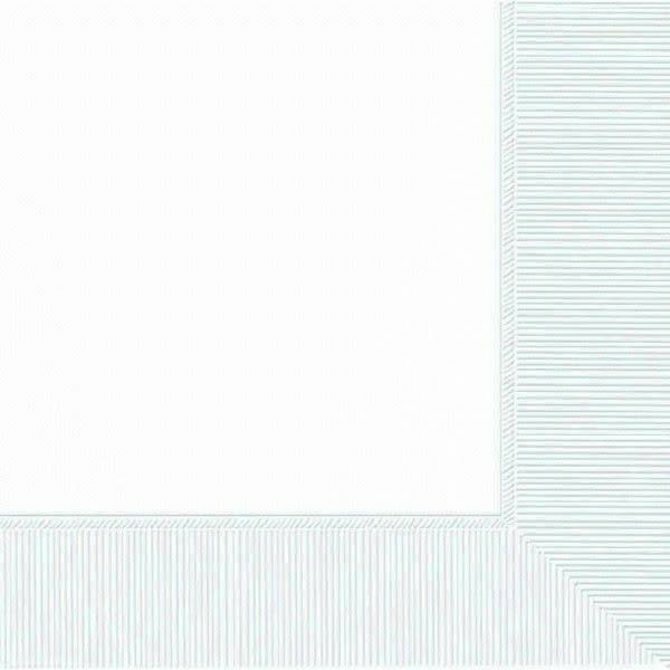 Frosty White Round Plastic Table Cover, 84"
Frosty White Rectangular Plastic Table Cover, 54" x 108"
Frosty White Chevron Beverage Napkins 16ct. 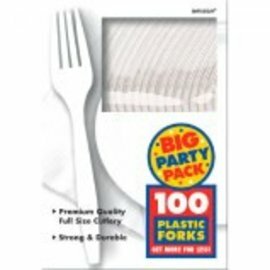 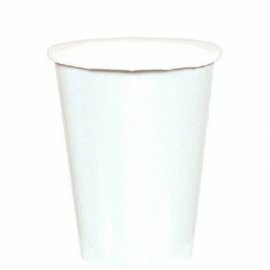 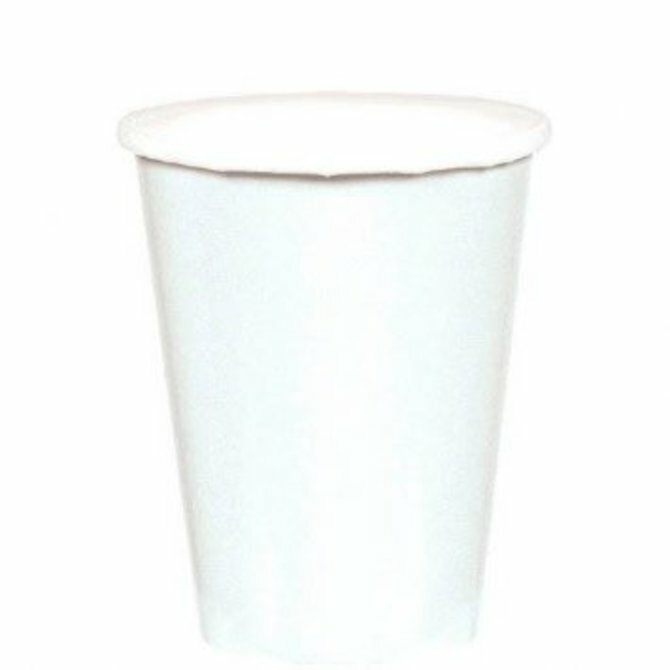 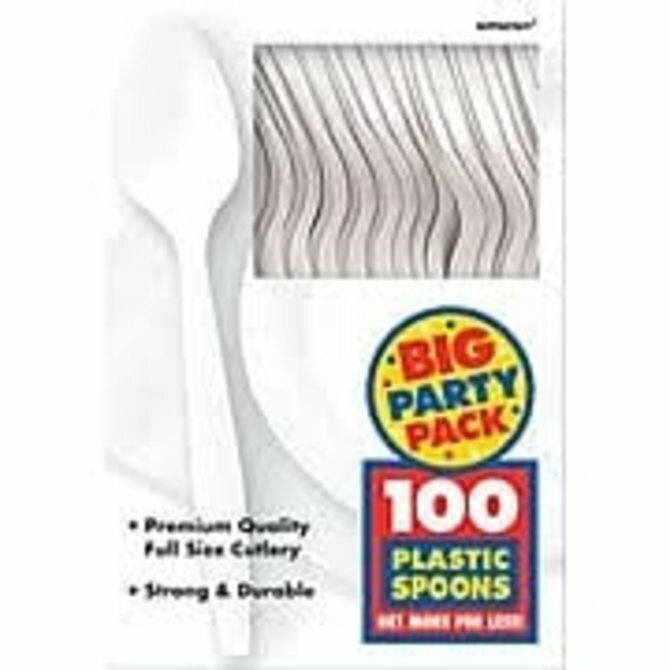 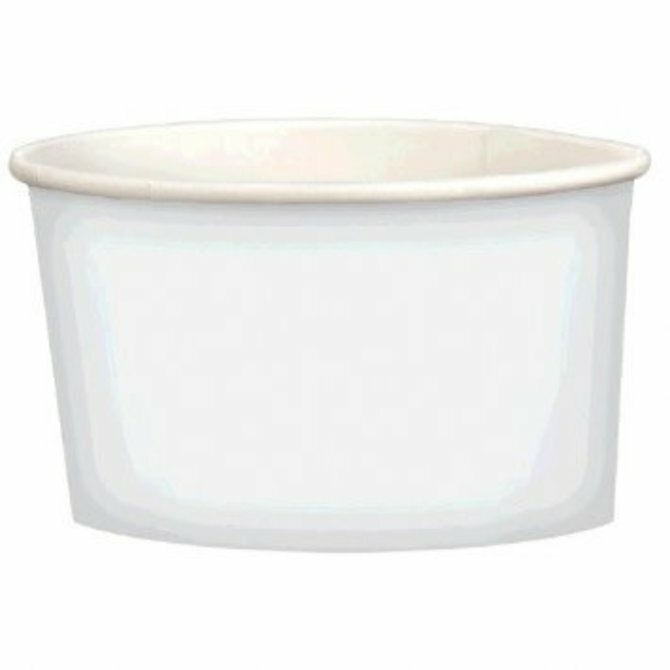  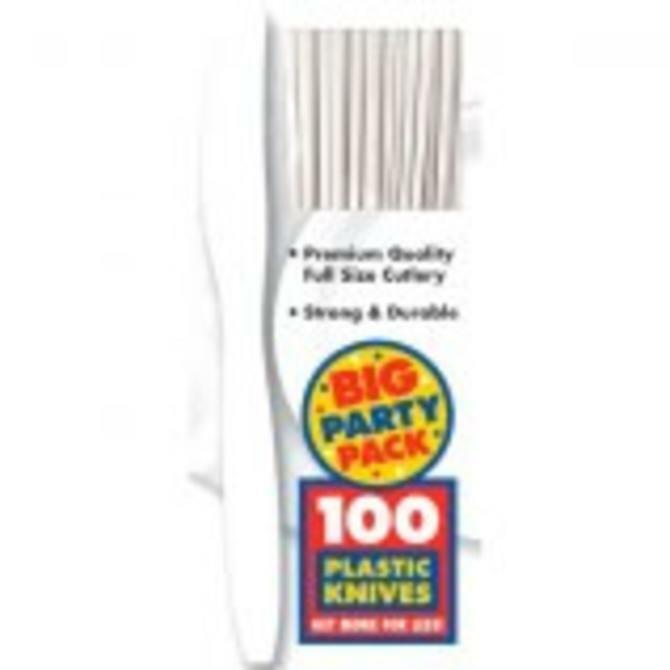 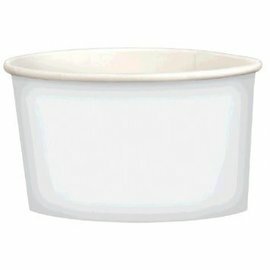 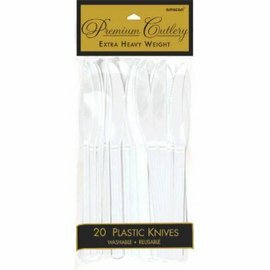 Frosty White Big Party Pack Plastic Cups, 16 oz.  50ct. 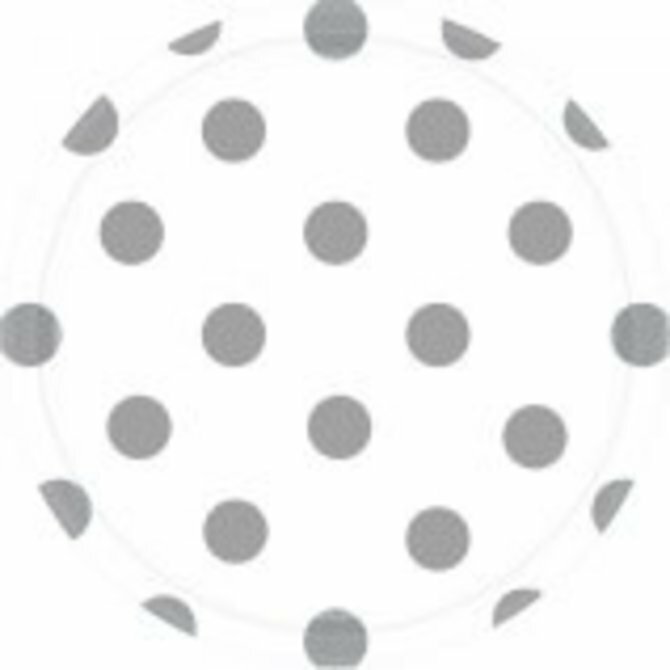 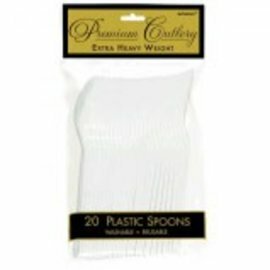 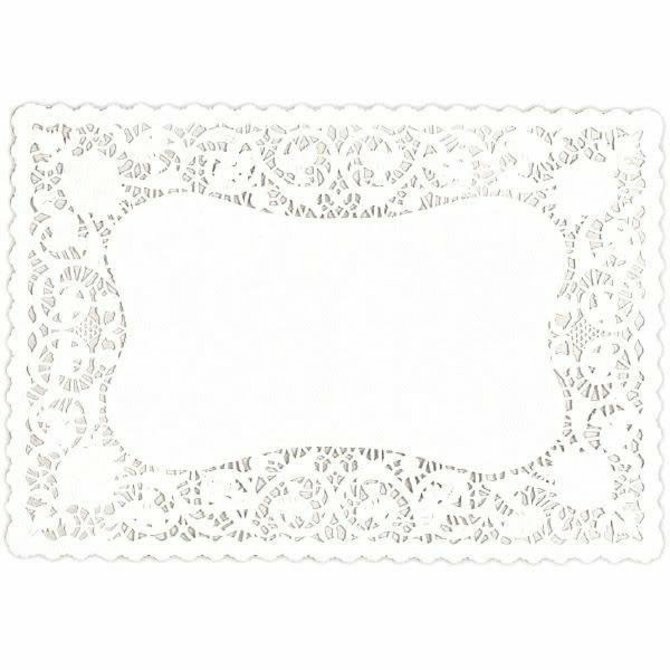 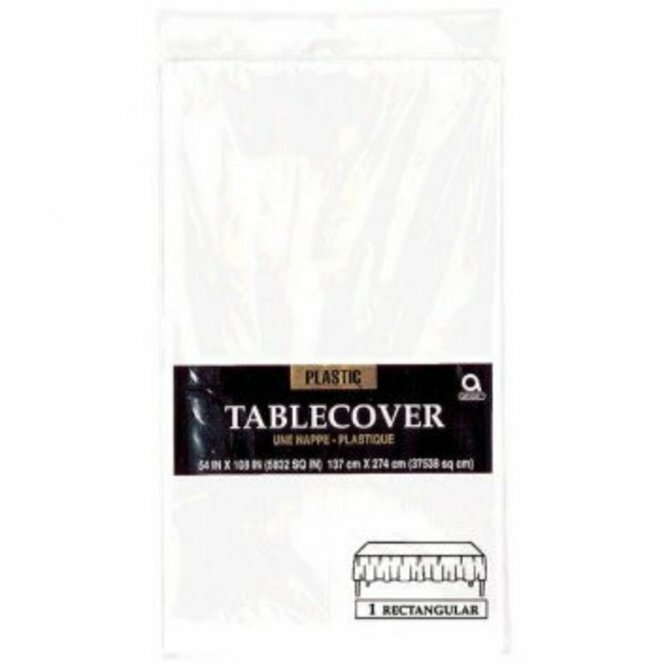 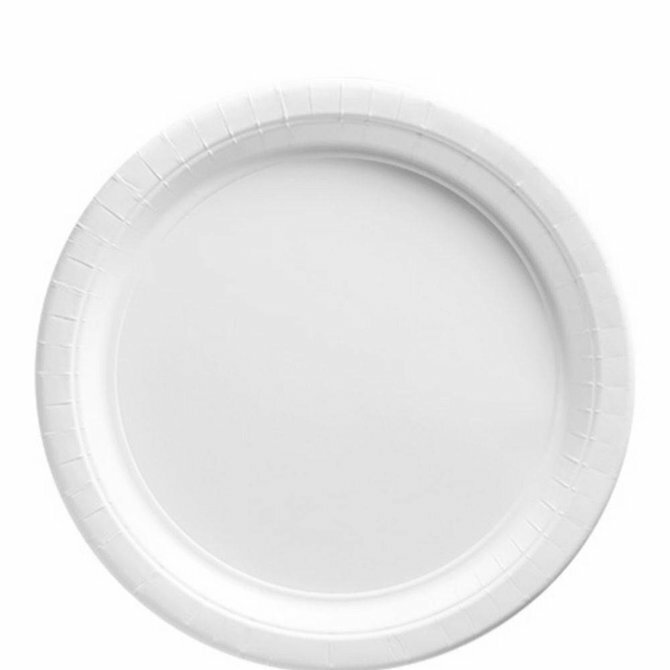 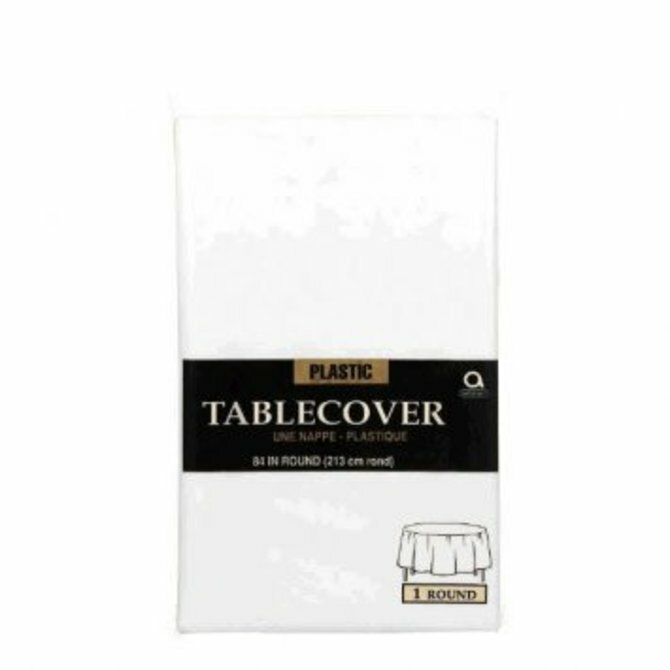 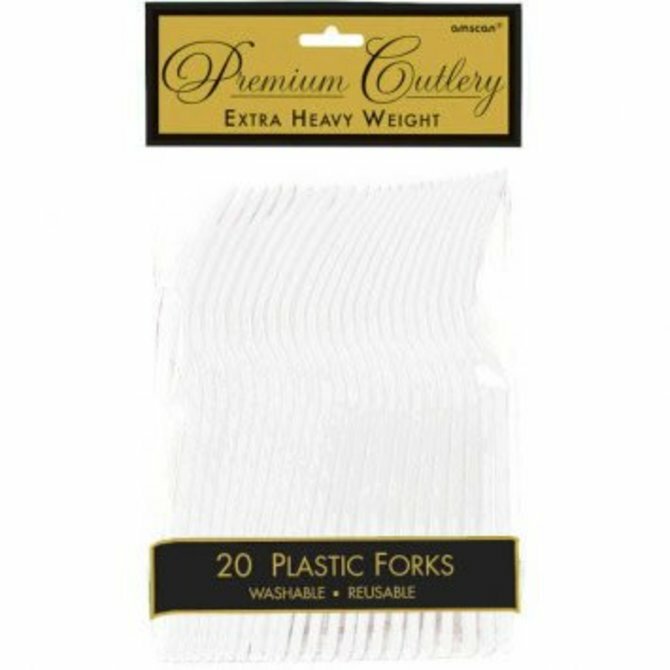 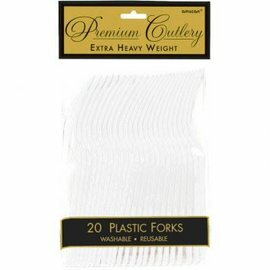 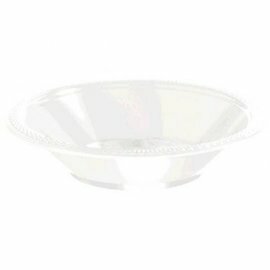 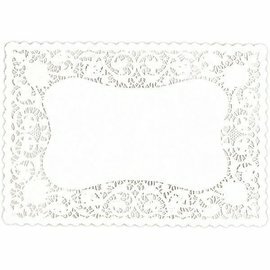 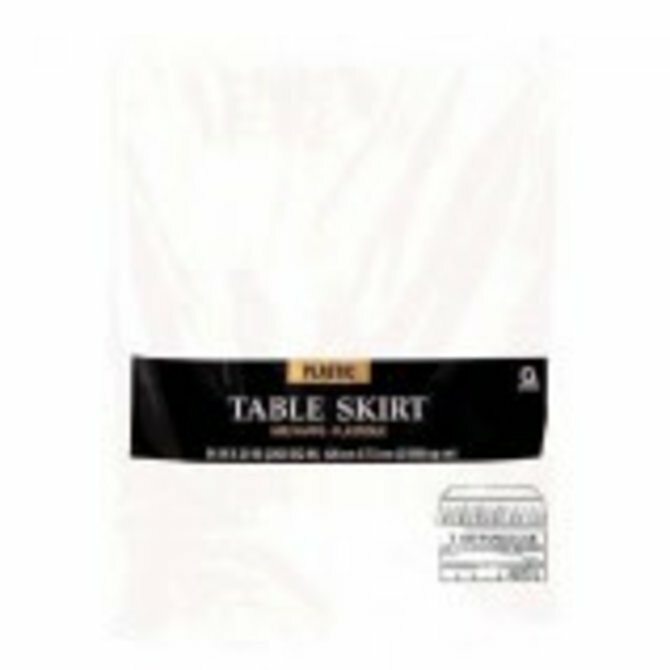 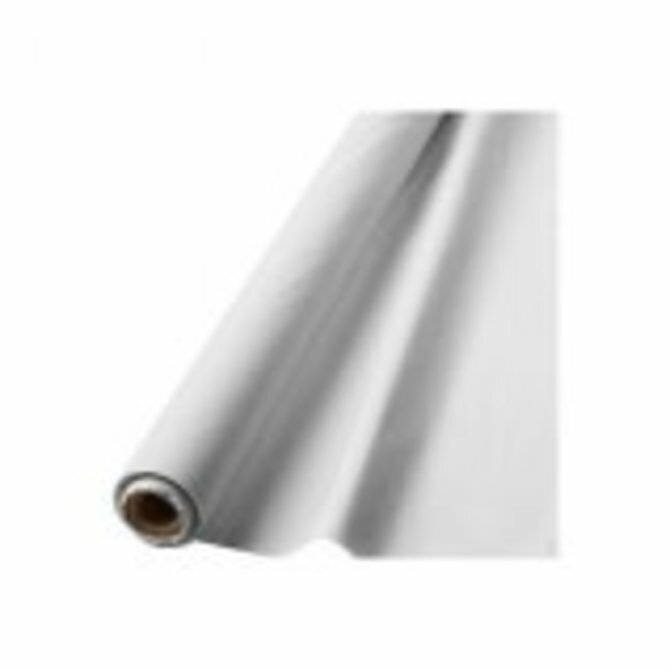 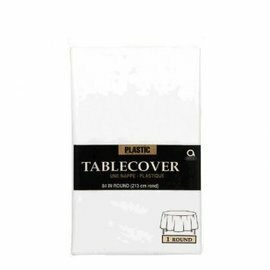 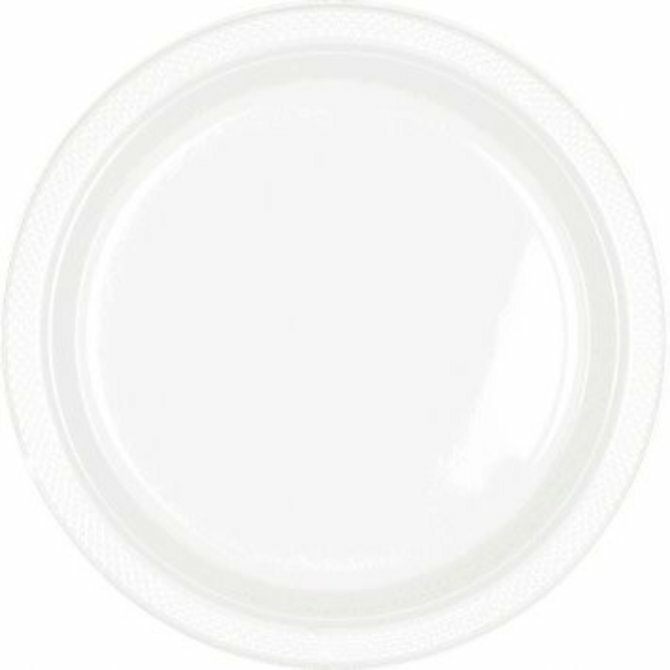 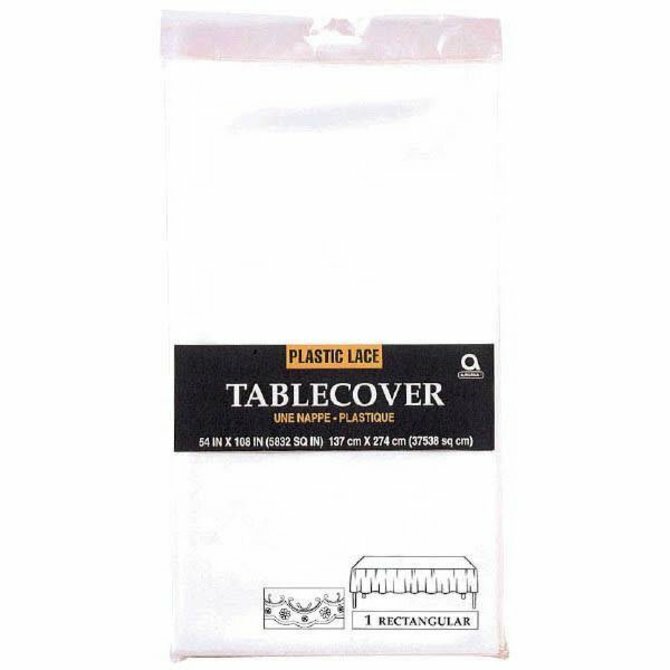 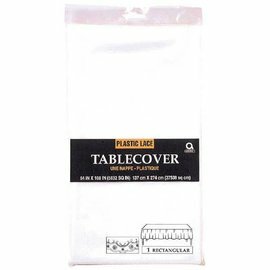 White Lace Plastic Table Cover, 54" x 108"